There is no indication that North Korea reacted after the Hawaii Emergency Management Agency mistakenly sent an alert Saturday warning of an imminent ballistic missile strike against the islands, U.S. Defense Secretary Jim Mattis said Monday. 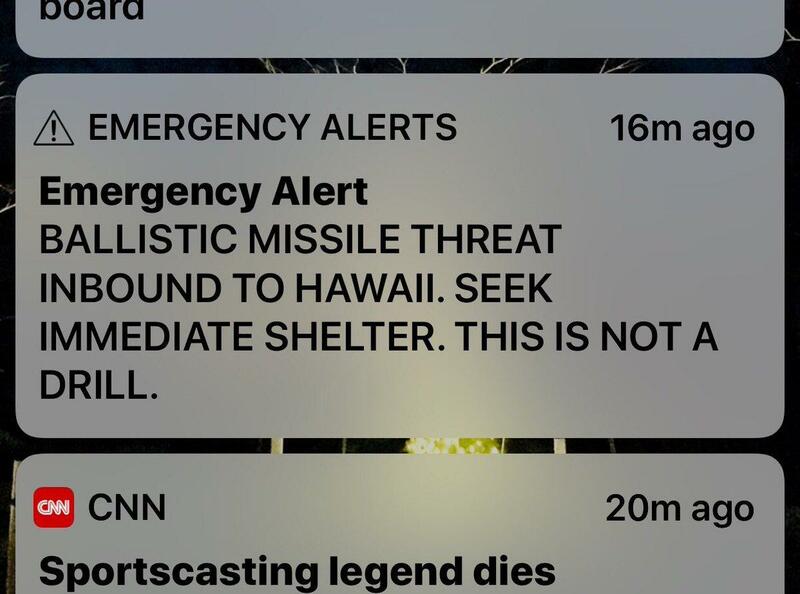 On Saturday morning local time, thousands of tourists and residents in Hawaii received mobile alerts on their phones that a missile would soon be impacting the state. 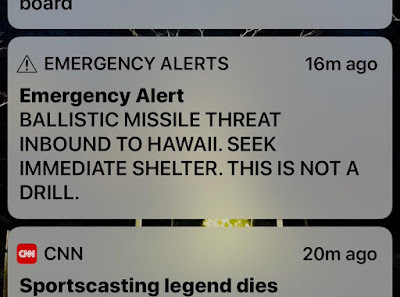 With tensions high over the regime's ballistic missile program and President Donald Trump recently warning North Korea's leader, Kim Jong Un, that he has the bigger "nuclear button," the false alarm prompted panic that Hawaii was the target of an attack from North Korea. WNU Editor: It looks like the North Koreans did not know what was happening. But I am definitely curious on what was the Russian and Chinese reaction to this alert.